SURPRISING: RELEASE DATE OF SIVAKARTHIKEYAN'S NEXT IS FINALIZED! Sivakarthikeyan's next film, to be directed by Mohan Raja went on floors today (11th November) with the main cast and crew of the film. This project marks the second production venture of 24AM Studios, whose first film was Remo. The makers 24AM Studios tweeted, "With all ur blessings and support we start our Production No:2 TODAY.Worldwide Releasing on 25th August 2017,VINAYAKACHATHURTHI RELEASE". 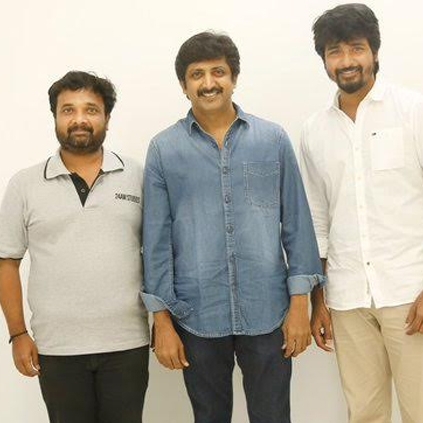 So, it is now official that Sivakarthikeyan - Mohan Raja film will release on the 25th of August next year. In today's Tamil cinema trend, announcing the date of release of a film on the day of its commencement is something new. But this announcement from 24AM studios is very much surprising and has to be appreciated. Nayanthara to act in Vedalam remake? What worked in favor of AYM? Interesting: Is it going to be Aaranya Kaandam 2 now? People looking for online information on 24am Studios, Mohan Raja, Sivakarthikeyan will find this news story useful.